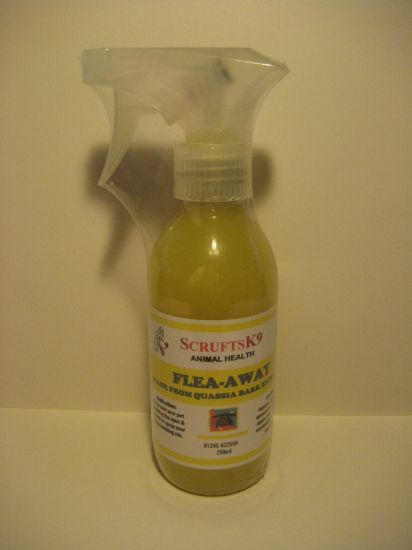 UP-TO 12 MONTHS SUPPLY,USED FOR THE NATURAL CONTROL OF FLEA?S, TICKS & PARASITES, CAN EITHER BE SPRAYED ON THE BACK OF THE NECK FOR PREVENTATIVE USE, OR ADDED TO WATER FOR SPRAYING YOUR PET & BEDDING, OR ADDED TO SHAMPOO.FLEA-AWAY is a 100% safe & natural flea control.Application:Either spray on the back of your pet for preventative use, or add to shampoo for washing. Add 10ml to a little water and spray all over including the bedding. 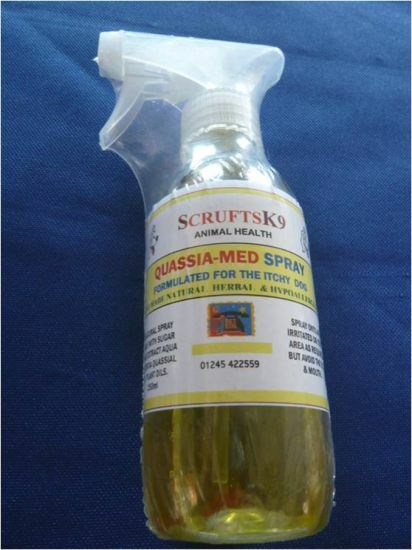 Use on cats dogs & small pets.Contains:BITTER APPLE EXTRACT. HIBISCUS TINCTURE. GERANIUM OIL. EUCALYPTUS OIL. TEA TREE OIL. LAVENDER OIL & LEMONGRASS OIL ,PLUS: HOMEOPATHIC SULPHUR 30. 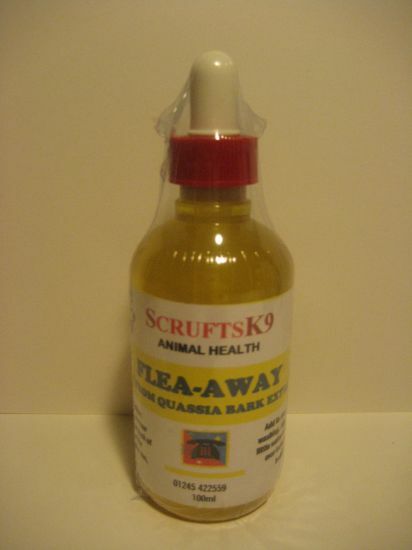 Formulated for the Itchy dog, Assists with the control of skin conditions and coat growth.